Templates/Drawings | Johnston & Rhodes Bluestone Co.
At Johnston & Rhodes Bluestone Co., we utilize AutoCadLT software to produce shop drawings and templates to insure precision and accuracy. 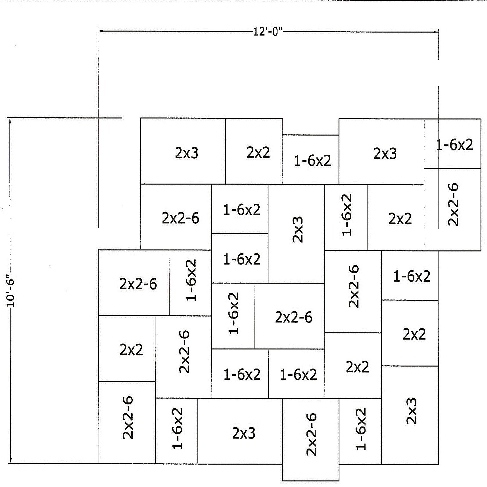 We can work with dwg, dxf, or pdf files either sent to us on disk, or emailed to our offices. Our templates are generated on durable plastic, and can be derived from either detailed drawings, computer files, or full-scale patterns provided by the client. Whether the project involves one radical stair or 100,000 square feet of specialty paving, we can produce professional grade bluestone shop drawings in-house. This saves time and money as Johnston & Rhodes becomes intimately involved in the process, from initial design through final installation. If you are not sure how you want your paving pattern to look, we have many pre-made layouts or we can create one specifically for your needs. Typical pattern layout in AutoCadLT. 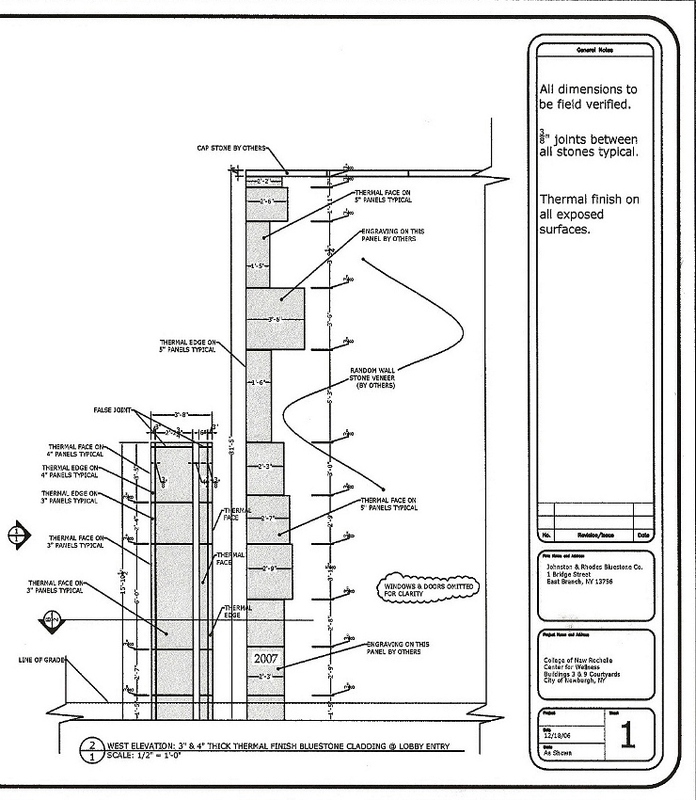 Typical AutoCadLT shop drawing elevation for Elk Brook Bluestone cladding for a recently completed project.